We had a great time visiting our parents and old friends. 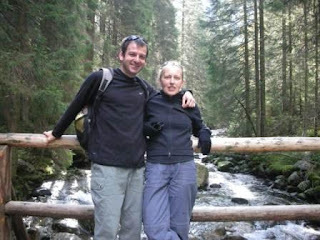 This time we've even managed to go to the Polish Tatra mountains, which I wanted to do for a long time. The attached picture is from the mountains. Off to catch the plane now. Rio, baby Rio! Dzeki za korespondencje - odebralismy! Czekamy na nastepna. Pozdrawiamy.